Hormel Foods joined the ranks of 609 major U.S. businesses that also earned top marks this year. The 2018 CEI rated 947 businesses in the report, which evaluates LGBTQ-related policies and practices including non-discrimination workplace protections, domestic partner benefits, transgender-inclusive health care benefits, competency programs and public engagement with the LGBTQ community. 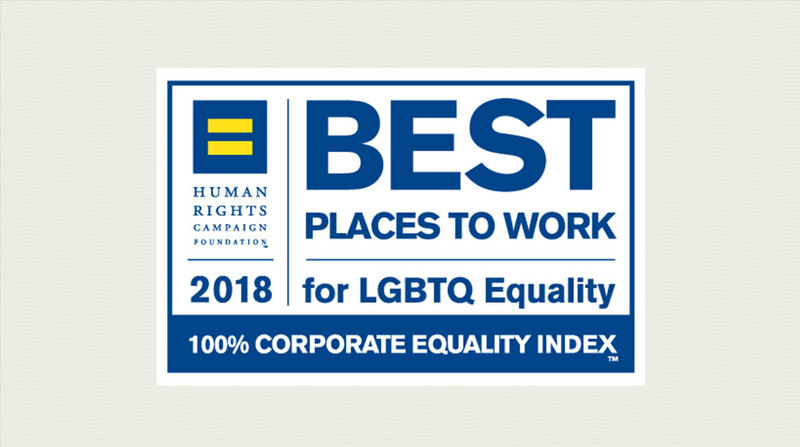 The company’s efforts in satisfying all of the CEI’s criteria results in a 100 percent ranking and the designation as a Best Place to Work for LGBTQ Equality. Hormel Foods was also recently recognized by Forbes on its World’s Best Employers 2017 list and was awarded a silver Stevie Award as an Employer of the Year in the food and beverage category. In addition, the company has been on the Best for Vets Employers List by Military Times for five consecutive years and on the 100 Best Corporate Citizens List by Corporate Responsibility magazine for nine consecutive years. For more information about the 2018 Corporate Equality Index, or to download a copy of the report, visit www.hrc.org/cei. The Human Rights Campaign Foundation is the educational arm of America’s largest civil rights organization working to achieve equality for lesbian, gay, bisexual transgender and queer people. HRC envisions a world where LGBTQ people are embraced as full members of society at home, work and in every community.